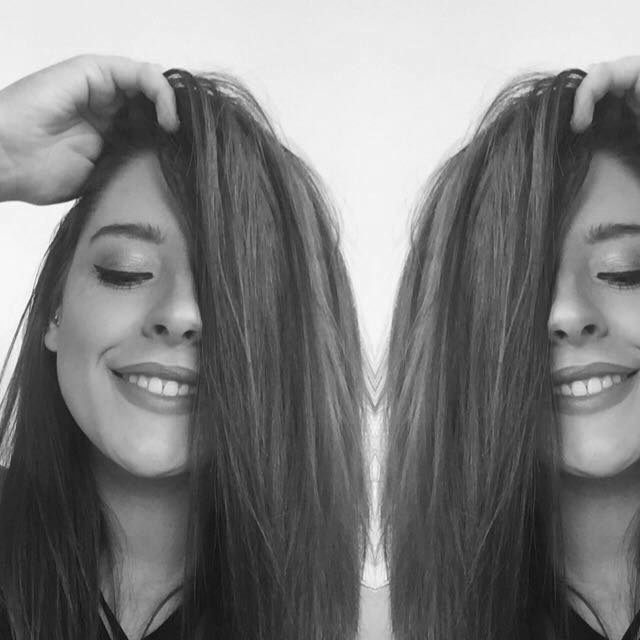 The Oval Makeup Brush Beauty Pod is the most sought after makeup brush kit! 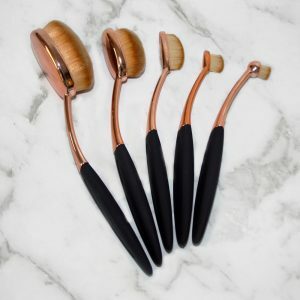 The oval brushes come in five different sizes and are perfect for blending foundation, blush, concealer and powder. Store them in our travel-friendly pod tin or buy a brush stand to store them on display at home. 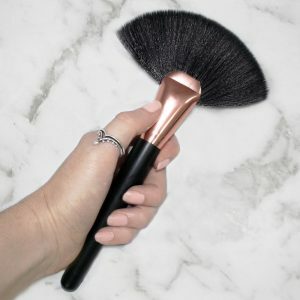 All of our brushes are vegan friendly and cruelty free 🙂 Product size: largest brush is 16cm. 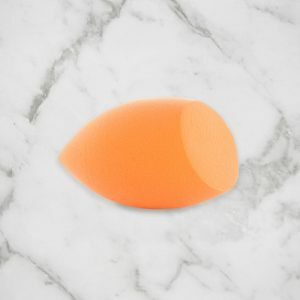 The Beauty Pods Highlighter Makeup Brush has a long handle and fan-shaped brush to lightly dust highlighter on your cheeks. You can also contour your cheek bones and powder tricky areas such as your nose. 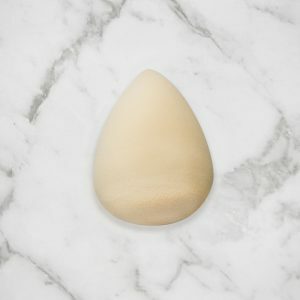 Group your purchase with an Original Beauty Pod and Teardrop Beauty Blender for a flawless application kit! Product size: 20cm. 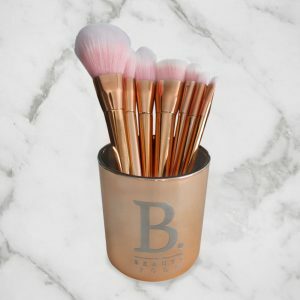 Our gorgeous rose gold luxe makeup brushes are packaged in a matching holder, perfect for storing your brush collection at home! 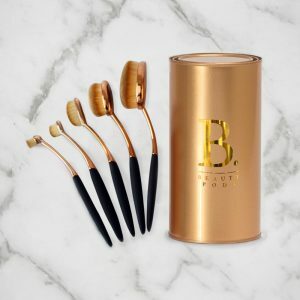 The Luxe Makeup Brush Beauty Pod features seven brushes for application of blending foundation, bronzer, concealer, brows and powder. 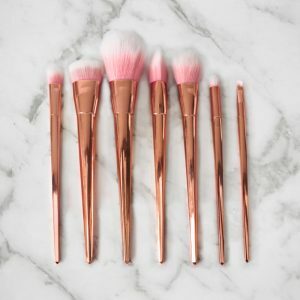 Our luxe makeup brushes are a soft, high-end product with a tapered handle for easy grip from top to bottom. 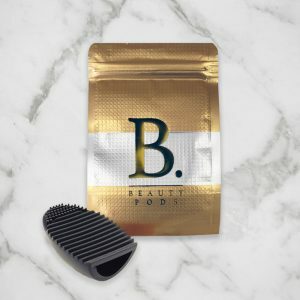 Group your purchase with one of our Beauty Pods Brush Cleaners to keep your brushes in top shape! 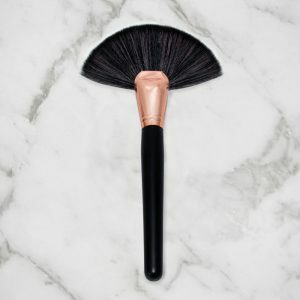 Product size: largest brush is 21cm. 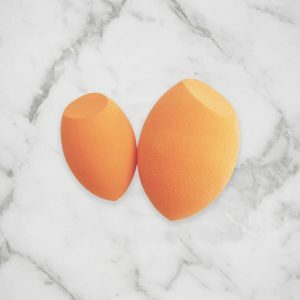 Keep your brushes silky clean with the Beauty Pods Makeup Brush Cleaner. 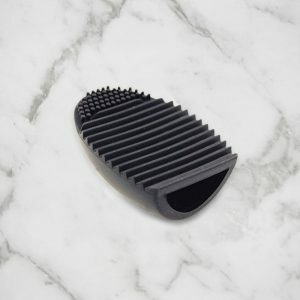 Slide the egg shaped tool onto your fingers and gently massage your makeup brushes on the grid with warm soapy water or brush cleanser. Brush cleaning made easy! 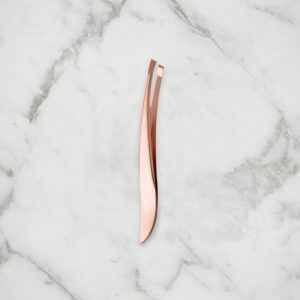 Tame those wild brows with the Beauty Pods Tweezers in rose gold! Our slant tweezer is designed for easy grip and angled brow sculpting. Product size: 9cm. 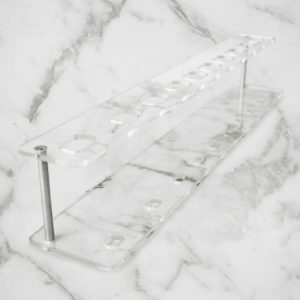 Show off your brushes with our Beauty Pods Makeup Brush Stand. 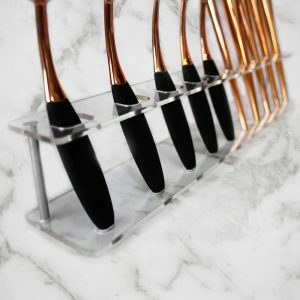 The brush holder can display up to 10 brushes with a clear finish and easy four-screw construction. Hot tip – steal a tradie’s phillip head screwdriver for easy assembly! Product size: 35 x 5.5cm. 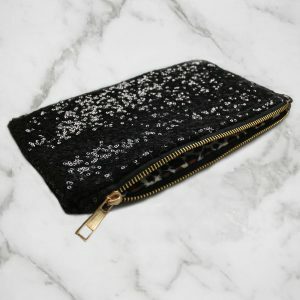 Store your Beauty Pods products in our black sequin Beauty Makeup Bag. Measured at 26x16cm, it’s the perfect size to be big enough to fit all the essentials, but small enough to travel with! 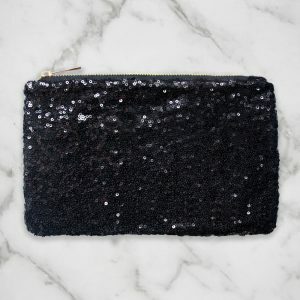 The makeup bag is lined with a thick, water resistant fabric for easy cleaning. There is also a small inside pocket to store your smaller, more delicate items. Product size: 26x16cm. 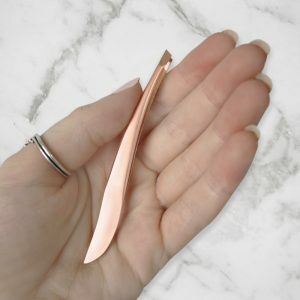 View cart “Rose Gold Tweezers” has been added to your cart.